These two yachts are among several vessels impacted by Hurricane Irma. The government is concerned about the possibility of oil spilling into the ocean from a number of yachts and boats that were sunken during the passage of Hurricane Irma. 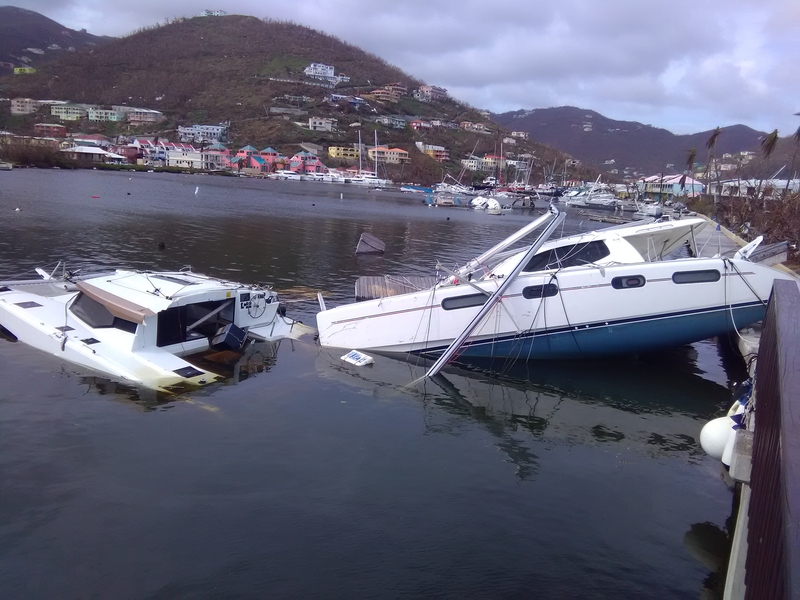 As a result, Minister for Natural Resources, Dr. Kedrick Pickering said meetings are being held with yacht owners to seek out preventative measures. “You are well aware that there are a number of sunken yachts in our waters and the Ministry of Natural Resources and Labour, with due concern for the environment, have been holding meetings with the charter yacht industry and other related individuals to see how best we can mitigate against, especially oil spills from the boats that have sunk,” he said. While noting that there has been good cooperation from respective parties, he indicated that addressing the issue was critical for the charter yacht industry as a whole. “But you are well aware that we have to pay careful attention to the issues surrounding the environment,” he said.